Enchondroma with Osteopoikilosis is a rare coexistence. Associated conditions must always be checked and accounted for. 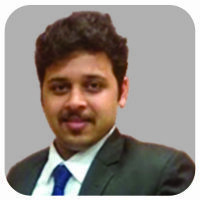 Department of Orthopaedics, Tejasvini Hospital and Shantharam Shetty Institute of Orthopaedics and Traumatology, Mangalore, Karnataka, India. 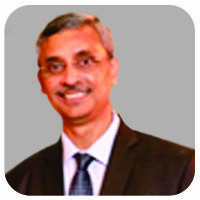 Tejasvini Hospital and Shantharam Shetty Institute of Orthopaedics and Traumatology, Kadri Temple Road, Kadri, Mangalore – 575003, Karnataka, India. Introduction: Osteopoikilosis and enchondroma existing together have not been reported in literature, and this is the first report of the management of the same. 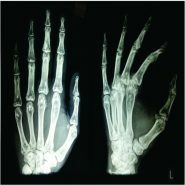 Case Report: A 26-year-old male presented with dull aching pain with swelling around the knuckle of the left index finger of 1 month duration. On examination, there was a swelling of approximately 1×1 cm on the dorsal aspect. Typical radiographic changes of osteopoikilosis and enchondroma were present. Conclusion: Enchondroma coexistence with osteopoikilosis is rare. Diagnosis is suspected on plain radiographs and confirmed by the histopathologic study. Enucleation of the tumor with bone graft provides good results. 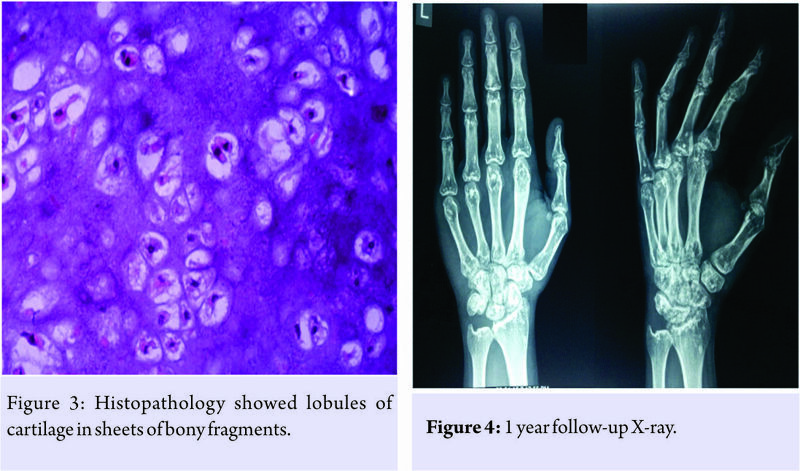 Keywords: Osteopoikilosis, enchondroma, hand, bone graft, tumor. Osteopoikilosis also known as spotted bone disease or osteopathic condensans disseminate is an asymptomatic dysplasia of the bone. Osteopoikilosis is one of many bone dysplasias which is characterized by a defect in the endochondral formation of bone . There is a predilection for the epiphysis and metaphysis of the long tubular bones, carpus, tarsus, pelvis, and scapula. The characteristic radiological features are multiple well-defined round or oval punctate, homogenous, sclerotic, foci symmetrically distributed in a predominantly periarticular fashion within the epiphyseal and metaphyseal regions. Enchondromas are benign; slow growing, hyaline cartilage tumors most often located in the hands. They are the most common primary bone tumors of the hand. The most common presenting signs and symptoms are nonspecific and include pain, swelling, and deformity. They are treated by curettage with or without augmentation. There is no reported literature on these two entities coexisting together. A 26-year-old male presented with dull aching pain with swelling around the knuckle of the left index finger of 1 month duration. The pain was insidious in onset and gradually increased on movements. This was the only site where the patient had pain in the body. There was no history of trauma, fever or any associated conditions. No one in the family had any osseous lesions. On examination, there was a swelling of approximately 1×1 cm on the dorsal aspect of the left hand, proximal to the second metacarpophalangeal joint. The skin on the swelling was normal. The swelling was tender on palpation with no local rise of temperature. There was complete range of motion of all joints of the index finger. Radiographs showed well-defined, homogenous focal lesions in the epi-metaphyseal regions of all bones of the hand and wrist (Fig. 1). The pelvis showed the well-defined homogenous lesions as well (Fig. 2). This was consistent with osteopoikilosis. The left second metacarpal had a characteristic expansile lytic lesion in the distal metaphyseal-diaphyseal region with no cortical breach. The zone of transition was well defined. This was considered to be an enchondroma. His laboratory and biochemical parameters inclusive of serum alkaline phosphatase, erythrocyte sedimentation rate, and complete blood count were within normal limits. The patient was planned for surgery, and a dorsomedial incision was taken over the left second metacarpal. The periosteum was elevated, and the cortex was exposed. A cortical window was made, and the lesion was thoroughly curetted. Cortico-cancellous bone graft was harvested from the iliac crest and packed inside the cavity. There was no cortical breach apart from the cortical window. This was closed without any augmentation with implants. 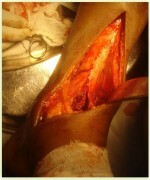 Postoperatively the patient was immobilized in a below elbow slab in a functional position for 3 weeks. The histopathology confirmed an enchondroma, which showed lobules of cartilage arranged in sheets of bony fragments, fibrosis with areas of congestion. Focal areas showed cellular cartilage (Fig. 3). On serial follow-up up to 4 years, there has been no recurrence of the lesion and patient has no pain or restriction of movements (Fig. 4 and 5). There has been no correlation of osteopoikilosis and enchondroma in the literature available to date. Heterozygous mutations associated with isocitrate dehydrogenase 1 and 2 genes have been detected in patients with solitary enchondroma . In osteopoikilosis, both inherited and sporadic forms have been reported. An autosomal dominant pattern that becomes more prominent in each succeeding generation has also been described. It has been associated with a mutation in LEM domain-containing protein 3 gene . One case has been reported of chondrosarcoma in a patient with osteopoikilosis that patient did not survive . Pain is not a dominant feature of osteopoikilosis, but in 15%–20% of patients, slight joint pain, and effusion have been reported . 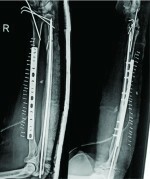 Here the patient had pain associated due to the associated enchondroma. It should be borne in mind to differentiate osteopoikilosis from metastatic lesions. Therefore, the major differential diagnosis should be considered for osteoblastic metastases, mastocytosis, and tuberous sclerosis. The enchondroma with the lytic lesion further complicated the diagnosis in this patient. Surgery is recommended for symptomatic patients and for those with pathologic fractures. Symptoms tend to persist, and patients with expansile lytic lesions are at risk for a pathologic fracture. Furthermore, a definitive diagnosis was established with surgical treatment. Controversy involves void augmentation after curettage. The generated void may be filled or left vacant to fill in naturally with hematoma. There is no consensus on an optimal management strategy, and the medical literature is replete with case series describing low complication rates with and without void augmentation . We augmented the void with autologous bone graft and packed the cavity. We believe that this bone graft gives good support to the thinned out cortex and helps prevent fractures in the cortex if left otherwise without augmentation. Our patient regained full function postoperatively without any recurrence of the lesion. Enchondroma is a common benign bone tumor. Its coexistence with osteopoikilosis is rare. Diagnosis is suspected on plain radiographs and confirmed by the histopathologic study. Enucleation of the tumor with bone graft provides good results. The coexistence of the enchondroma with osteopoikilosis did not have a bearing on the functional and radiological outcome in the management of the enchondroma. Osteopoikilosis is a benign and rare entity. Its presence does not affect the outcome of management of the enchondroma. 1. Vanhoenacker FM, De Beuckeleer LH, Van Hul W, Balemans W, Tan GJ, Hill SC, et al. Sclerosing bone dysplasias: Genetic and radioclinical features. Eur Radiol 2000;10:1423-33. 2. Pansuriya TC, van Eijk R, d’Adamo P, van Ruler MA, Kuijjer ML, Oosting J, et al. Somatic mosaic IDH1 and IDH2 mutations are associated with enchondroma and spindle cell hemangioma in ollier disease and maffucci syndrome. Nat Genet 2011;43:1256-61. 3. Hellemans J, Preobrazhenska O, Willaert A, Debeer P, Verdonk PC, Costa T, et al. Loss-of-function mutations in LEMD3 result in osteopoikilosis, buschke-ollendorff syndrome and melorheostosis. Nat Genet 2004;36:1213-8. 4. Grimer RJ, Davies AM, Starkie CM, Sneath RS. Chondrosarcoma in a patient with osteopoikilosis. Apropos of a case. Rev Chir Orthop Reparatrice Appar Mot 1989;75:188-90. 5. 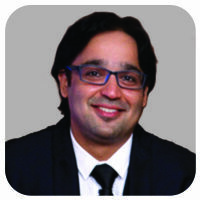 Mohapatra MK, Patro SS, Jajodia NK, Agarwal S. Osteopoikilosis. 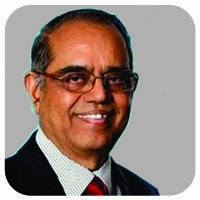 J Assoc Physicians India 2006;54:939. 6. Bachoura A, Rice IS, Lubahn AR, Lubahn JD. The surgical management of hand enchondroma without postcurettage void augmentation: Authors’ experience and a systematic review. Hand (N Y) 2015;10:461-71. 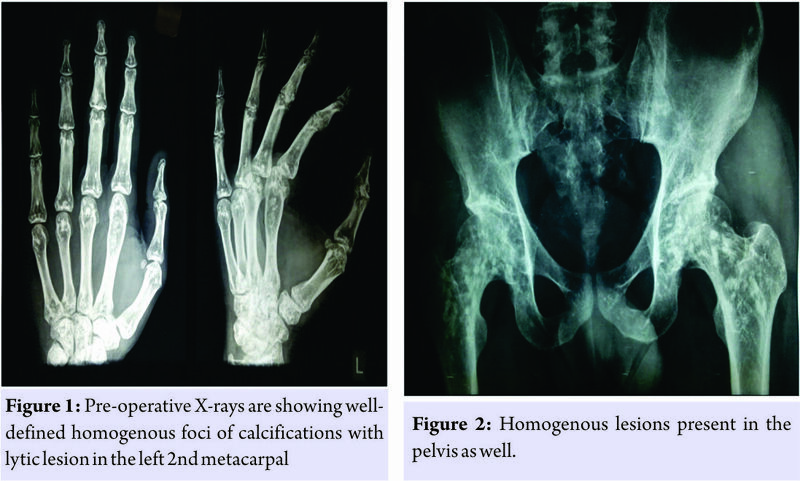 How to Cite This Article: Doshi K, Kumar MA, Daultani D, Shetty MS. Enchondroma with Osteopoikilosis Coexisting Together –A Rare Clinical and Radiological Case Report. Journal of Orthopaedic Case Reports 2018 Jan-Feb; 8(1): 61-63.